The International Labor Organization (ILO) labor standards take the form of International Labor Conventions which are ratified by member countries. Of the total number of ILO Conventions, eight are considered core labor standards, fundamental to the rights of workers. The ILO is a specialized agency of the United Nations. 17 April, 2019: Representatives of governments, employers and workers from around the world gathered at the ILO in Geneva, Switzerland, to discuss current and emerging issues related to the promotion of decent work in the management of e-waste. The Global Dialogue Forum on Decent Work in the Management of Electrical and Electronic Waste (e-waste) took place from 9 to 11 April 2019. The purpose of the Forum is to discuss current and emerging issues related to the promotion of decent work in the management of e-waste, with the aim of adopting points of consensus, including recommendations for future action by the International Labour Organization (ILO) and its members. IndustriALL Global Union, under the auspices of the International Trade Union Confederation, coordinated the trade union experts' participation, drawn from the following six countries; Denmark, India, Japan, Russia, Sweden, and UK. The e-waste industry is the largest growing waste stream. It is hazardous, complex and expensive to treat in an environmentally sound manner, and there is still a general lack of legislation or enforcement surrounding it in many countries. The majority of work with e-waste in developing countries takes place in the informal economy. Under these circumstances, issues of e-waste workers such as the violation of fundamental workers' rights, child labour, precarious working conditions and neglect of health and safety have been reported to IndustriALL, especially from developing countries. The supply chains that feed the ICT electrical and electronics industry are getting longer and more complex as technology pervades every area of our lives, and it will continue to boost the e-waste industry. All stakeholders of the supply chain have a responsibility to provide, and workers have a right to expect, safe, healthy, clean and sustainable jobs. In the Forum, the issues and challenges of the e-waste workers were focused in the circular economy and the ways to advancing decent work in the industry. "Workers handling e-waste have no voice, no bargaining power and they are breaking hazardous materials by their hands. Moreover, these workers are unaware of the many risks associated with handling e-waste", said James Towers, the vice-chairperson representing the workers' group. "We, the workers, want a future of work which brings fair working practices and Just Transition for the e-waste workers." Kan Matsuzaki, IndustriALL director of ICT, Electrical and Electronics, said: "This is the first meeting at which employers, governments, and workers deeply shared the issues and challenges on the ground of e-waste, and seriously and constructively reached draft points of consensus which cover the workers' concerns. This is important step forward towards a sustainable future. It is time to act to achieve decent work for all the e-waste workers!" 15 April 2019 Today the Korean Construction Workers' Union (KCWU) affiliated to the Korean Federation of Construction Industry Trade Unions (KFCITU) held a rally demanding the government guarantee construction workers basic labor rights in front of Namdaemun on April 13th. Then they marched to join more than 20,000 at the main rally organized by its national center, the Korean Confederation of Trade Unions (KCTU). The key demands of the main rally included ratify ILO core conventions including conventions 87 and 98; amend Article 2 of the Labour Union Act; and guarantee specially-employed workers such as self-employed, contractor, and "misclassified" workers basic labor rights." In addressing the protesters, KCTU Chairman Kim Myeong Hwan stated, "President Moon Jae-in promised to guarantee specially-employed workers basic labor rights even before he took office, but he has failed to do so after three years from in office and now he is attempting to eliminate the right to association for specially employed workers. We call on President to keep his promise to workers in South Korea." Lee Young Cheol, Chair of the Specially Employed Workers' Association and the Vice President of the KCWU added, "We must not forget the martyrs who sacrificed themselves for the rights of workers for the past two decades. We will continue to fight and mobilize until the ILO General Assembly in June to ratify the ILO core conventions and revise the labor union law. The specially employed workers, will take the lead in this important struggle." Following the rally, participants marched to the Presidential office Cheong Wa Dae. The BWI along with UNI and ITF sent letters to the South Korean government this week calling for the immediate ratification of the ILO core conventions to ensure basic labor rights. In the letter, BWI General Secretary Ambet Yuson urged President Moon Jae In to live up to his campaign promises to South Korean workers. He stated, "This is the 100th anniversary of the ILO. It would be only fitting that South Korea shows its commitment to abide by international standards by ratifying the core ILO conventions." 15.04.2019: The Secretary General of the Alliance of Concerned Teachers (ACT) in the Philippines has been named as recipient of a top international prize for trade union rights. France Castro, a top trade union activist in the Philippines, has been named as the recipient of the Arthur Svensson International Prize for Trade Union Rights 2019. Castro, who is the Secretary General of the Alliance of Concerned Teachers (ACT), is renowned in the trade union world for her tireless defence of human rights in the Philippines. Indeed, her advocacy for human rights has also led to harassment of her as a consequence. Castro was named today by Sharan Burrow, General Secretary of the International Trade Union Confederation (ITUC). The Philippines is among the 10 worst countries in the world for workers and trade unionists, according to the ITUC. Basic workers' rights are not respected, including the right to organise and collectively bargain and to be protected against child labour, discrimination and forced labour. Against a background of state violence and suppression of civil liberties, workers and trade unionists face threats and intimidation from the regime when defending their rights. Castro and some of her colleagues at the ACT are among active trade unionists, in particular journalists and teachers, who have been targeted, harassed and prosecuted by the Duterte regime. Some activists have been killed or imprisoned and death threats are common. During a recent keynote speech at the Executive Board of Education International (EI), one of Castro's colleagues highlighted recent illegal profiling and vilification of unionised teachers by the police. This has resulted in significant disruption of union activities and the invasion of teachers' privacy. Castro has become a symbol for democracy and workers' rights in her country. A qualified teacher, she established an education union in Quezon City, just north-east of the capital, Manila. Later, she was elected Secretary General of the ACT, which is a member of EI, and focused on uniting teachers within one trade union. Under her leadership, the ACT has quickly grown to become one of the largest trade unions in the Philippines. In 2016, it negotiated the first collective agreement for public school teachers, which recognises the right to strike. As an elected Member of the Philippine House of Representatives, Castro has fought against neoliberal reforms in education and filed bills for the rights and welfare of education workers. She has also fought against lowering the minimum age of criminal responsibility, the mandatory Reserve Officer Training Corps in senior high school and targeting of minors in the regime's anti-drug war. She and her union have long been engaged in the defence of indigenous people's right to education, activism that led to her being attacked by paramilitary forces and detained during a solidarity mission in Lumad schools in Talaingod last November. The Arthur Svensson prize is granted to a person or an organisation that has worked predominantly to promote trade union rights and/or to strengthen trade union organising around the world. The prize is an international award established by the Norwegian trade union, Industri Energi. It is awarded annually by the Committee for the Arthur Svensson International Prize for Trade Union Rights. 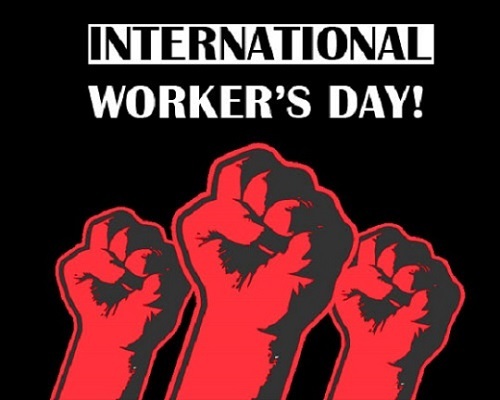 15 April 2019: The UNI Liberty Latin America Trade Union Alliance denounced anti worker conduct at its Cable & Wireless/FLOW operations throughout the Caribbean. The Alliance, composed of trade unions representing workers from Cable & Wireless, FLOW, and other corporate brands in the Caribbean met in Kingston, Jamaica on April 9-10, 2019 to address the deteriorating working conditions throughout the company. Liberty Latin America is using an aggressive program of contracting, outsourcing and offshoring to move work away from unionized, good paying jobs into low wage positions where workers have less protections of their fundamental worker rights. At a time when unemployment in Jamaica is trending in the correct direction, Liberty Latin America is reversing this advantageous position by outsourcing and offshoring to countries with lower labor standards. Unions representing the company's workers in Antigua and Barbuda, the Bahamas, Barbados, Grenada, Jamaica, and St. Lucia are present at this first Liberty Latin America Trade Union Alliance meeting. The eight unions in the Alliance will carry a motion to the UNI ICTS World Conference in Kuala Lumpur, Malaysia in August 2019 where unions representing 3 million communications, IT, and services workers from throughout the world will pledge support for the Alliance demands. The UNI Liberty Latin America Trade Union Alliance calls on the company to enter into good faith dialogue as had been the prior practice in Cable & Wireless before the acquisition by Liberty Latin America. Only through dialogue that promotes fair and stable jobs can Liberty Latin America retain high quality employees that provide the service that the public deserves. 12 Apr 2019: Cabin crew represented by Fórsa have secured recognition negotiations with Stobart Air under threat of industrial action. Until now, Stobart has refused to consider even recognising a union, let alone entering into full collective bargaining on cabin crew pay and working conditions. Tired of having their fundamental rights ignored, on Wednesday 84% of crew voted in favour of strike action, with every single ballot paper returned to Fórsa backing the same course of action. Stobart has now entered into recognition talks with the union in an effort to avert the strike. Stobart's exploitative pay and working conditions and denial of trade union rights are characteristic of the outsourcing model increasingly prevalent in European aviation. The company actively undercuts labour standards by servicing unionised airlines, with other carriers such as Aer Lingus and British Airways substituting some of their own workers and equipment for Stobart's. Cleaning up labour standards in aviation is one of ITF's key global priorities for the coming years. With our affiliates like Fórsa, we are campaigning to build an aviation sector where all workers, regardless of their employer, have access to fair pay and conditions and union representation. 11 April, 2019: A union organizing team of ten travelled over 190 km from Maseru on 4 April - through winding, gravel tracks and a running river before reaching the Storm Mountain Diamond mine in Kao village, in the Butha-Buthe district of Lesotho. The rough terrain is no deterrent to IndustriALL Global Union affiliate, the Independent Democratic Union of Lesotho (IDUL), which is increasing its membership against all odds and began organizing diamond mineworkers in a similar drive last year. The union aims to recruit over 50 per cent of the 659-strong workforce at Storm Mountain to enable negotiating for a collective bargaining agreement with the company. The Maluti Mountains are behind Lesotho's emerging status as one of Africa's significant new diamond producing countries and home to global diamond mining companies. The UK's Firestone Diamonds, which owns the Liqhobong Diamond Mine in Lesotho, employes over 550 workers and recently dug up a 72-carat whole "makeable" - which allows for a large diamond to be cut. However, the union is facing stiff resistance from management at the Liqhjobong mine, who are refusing the union access to meet its members. Although the country's labour code gives unions access to the mines to organize, there are clauses in the Mining and Minerals Act which allows for "exemptions". The unions are fighting for the clauses to be removed. Says IDUL general secretary, Dan Theko: "We will not be intimidated by management's intransigence and will continue to demand just labour laws. We stand firm against union busting tactics and condemn employers' refusal to process signed membership forms. We also have a right to meet and organize workers, and its illegal for employers to deny us that right." The team included the IndustriALL director of mining, diamonds, gems, ornaments, and jewellery production (DGOJP), Glen Mpufane, and the programme officer for the IndustriALL Sub Saharan Africa region, Charles Kumbi. Lesotho is part of IndustriALL's union building project. As part of the IndustriALL Global Diamond Network (IGDN) meeting resolution to support IDUL's organizing drives, made in Johannesburg in 2018, three South African affiliates sent their organizers and educators - Lucky Mabiletsa (National Union of Mineworkers), Joseph Mosia, (National Union of Metalworkers of South Africa) and Thabo Mpete (United Association of Southern Africa). They shared strategies on dispute resolution, collective bargaining, understanding labour laws, and building skills on health and safety at a two-day workshop for 20 shop stewards. Besides training, the affiliates are supporting IDUL's initiative to set up an office at Kao and will invite the union to their international schools, as well as help in securing an all-terrain vehicle. Glen Mpufane, IndustriALL mining director, applauded the solidarity: "Regional solidarity is crucial and shows the strength of the unions' collective power. It is also an assurance to diamond mineworkers in Lesotho that they are not in an isolated struggle but are part of a global workforce fighting for workers' rights and better working conditions through the global diamond network." 11-04-2019: Addressing the 193 member states of the UN General Assembly, ITUC General Secretary Sharan Burrow, said," The challenges of today are as severe as the world saw in 1919. We face historic levels of inequality, a failed model of globalisation, increasing conflict and military spending, displacement of people at levels never seen before, a climate crisis and massive disruption from technology." The ITUC Global Poll reveals that 84% of the world's people say the minimum wage is not enough to live on. Just 48% of women are in the workforce compared to 75% of men and the gender pay gap is stagnant at nearly 25%. More than 70% of people lack social protection. "The magnificent vision of leaders 100 years ago and the social and economic successes built through the respect for the unique tripartite mandate of the ILO to establish a floor of global labour standards that would guarantee the dignity of work is floundering. Since the 1980's we have seen further erosion of this social contract. And the model of global trade today has contributed to this deterioration," said Burrow. "We need a new social Contract with a floor of a Universal Labour Guarantee. This was a central recommendation of the ILO Global Commission on the Future of Work and is the only measure that can ensure all workers are able to realise the promise of decent work and have access to justice. This means rights are respected, jobs are decent with minimum living wages and collective bargaining, workers have some control over working time, social protection coverage is universal, due diligence and accountability drive business operations, women's equality is realised and social dialogue ensures Just Transition measures for climate technology and displaced people," said Burrow. "Without these new rules, big technology monopolies like Amazon will continue to put both fair competition and people at risk as they consolidate their power at the expense of workers and of companies that do obey the rules. The massive benefits and potential of digital technology in particular are masking a darker side of giant data corporations controlling more and more of people's lives including at work. Most of their overall workforce is underpaid and the companies themselves often pay virtually no tax," said Burrow. April 2019: SNTCT members at UPS in Portugal have negotiated their first-ever contract with the company. The five-year agreement provides annual wage increases, new avenues for advancement in the company, more vacation days, and more pay for night and supplementary work. "Congratulations to SNTCT members who have a strong first contract won by hard-fought negotiations," said Cornelia Broos, Head of UNI Post&Logistics. "UNI will continue to back UPS workers in Portugal--and around the world--as they stand up for their rights and better working conditions." UPS is one of the world's largest logistics companies, with roughly 500,000 employees globally. The company entered into the Portuguese market in 1993. 08 April 2019: Members of the Tower Crane Operators Union of Ukraine, affiliated to PROFBUD, organized a warning strike due to non-payment wages from Altis-Development company for two months. Workers from the construction site of the residential complex Metropole and Ocean Mall stopped work in the morning of 1 April 2019. According to Vitalii, a young crane operator from the Metropole construction site, "we warned our employer at the beginning of March that if he does not pay our wages we will stop work. There are three cranes on the construction site and all of them stopped!". Tower crane operators warning strike pushed Altis-Development management to start negotiations with workers and ensure them that during the day management would find a solution for this situation. "After this warning strike, new members joined the union. Together we will develop an action plan to prevent further violations of the workers' rights in this company. Unfortunately, Altis-Development is not the only contractor employed for the construction of Ocean Mall which owes workers money. We have demonstrated to other workers that joining the trade union is the only one way to protect workers' rights!" said Vasyl Andreev, PROFBUD president. BWI is creating a tower crane workers' unions and networks as part of its Amandla! Strategic Plan 2018 - 2021 and extends its solidarity to the Ukrainian workers. 04 April 2019: Journalists at Buzzfeed accused management of refusing to meet with their representatives in an attempt to deny recognition of the recently formed workers' union, which would legitimately negotiate for employees. The International Federation of Journalists (IFJ) believes this is a clear example of union busting and urges the management to meet the union's representatives and to respect workers' fundamental right to organise in unions. On April the 3rd Buzzfeed News Union's journalists were supposed to have a crucial meeting with the media executives to move forward in its official recognition. Five minutes before the meeting was scheduled to begin, they were told that the managers would not show up. This behaviour is indicative of management's reluctance to recognise the union. Buzzfeed News Union was formed more than seven weeks ago. Despite the fact that, in average, the process for recognition takes about 21 days, the management has not done it, leading journalists to denounce "weeks of frustratingly slow communication" and "union busting". The biggest sticking point is the company's opposition to accepting an editorial unit, which would mean recognising the newsroom as a whole and not as individuals. However, employees say this would endanger media worker's status by allowing Buzzfeed to easily exclude people by adding new titles or changing them. This is particularly worrying since Buzzfeed has recently made over 200 employees redundant. NewsGuild of New York, who is backing the Buzzfeed union, said in a statement: "Contrary to the approach taken by their industry peers, Buzzfeed has responded to its employees' request for recognition of their union by engaging in evasive tactics intended to delay and obstruct. Buzzfeed has a choice to make here: they can treat employees with respect by voluntarily recognizing the union, or they can define themselves as an outlier in an industry where union busting is not tolerated." The IFJ said: "We stand in solidarity with our colleagues from the Buzzfeed News' Union and urge managers to respect journalists' fundamental right to unionise. Strong unions that defend workers' rights and decent working conditions in digital media are more needed than ever. Union busting is unacceptable". Brussels, 3 April 2019 (ITUC OnLine): The International Monetary Fund (IMF) continues to promote the unfounded claim that higher minimum wages prompt job cuts and hurt workers, putting at risk economic growth. An article published in the IMF's F&D magazine and shared on the IMF's Facebook page claims that "an overly generous wage may prompt employers to cut jobs". "It is disheartening to see that the IMF continues to ignore a large body of evidence on the benefits of minimum wages, for working people and the economy as a whole. If the IMF is serious about addressing inequality, it should abandon policy advice and loan conditions that have failed to generate economic growth. The economic evidence they claim is simply not there. Also absent is an acknowledgement that IMF interventions including attacks on minimum wages have deepened economic and social crises, not alleviated them," said Sharan Burrow, ITUC General Secretary. The article "Does a Minimum Wage Help Workers? ", billed by the IMF as a "Back to Basics explainer", is based on selective evidence that highlights the bias of the authors. The article recognises that most empirical studies find a positive or at most a very small negative relationship between minimum wages and employment levels. Despite that admission, the IMF economists base their recommendations on the assumption that higher minimum wages reduce employment levels. This ignores the larger body of evidence which shows the positive effects of minimum wages on productivity, employment, reduced informality and overall economic growth. The IMF has regularly provided policy advice and lending conditionalities calling for a restriction in the level of the minimum wage. Recent examples include Lithuania, Colombia, Greece, Bolivia and Ecuador. Such policies have had devastating impacts on workers' livelihoods and have contributed to increased poverty and inequality. Such measures have also been economically counterproductive - leading to deficits in aggregate demand and contributing to prolonged economic crises. In policy advice and the recent article, IMF staff have promoted the assignment of minimum wage setting to "independent experts". These suggestions run contrary to international labour standards including the Minimum Wage Fixing Convention of the ILO (C131), which calls for the involvement of social partners and the consideration of the needs of working families. The suggestion to end participatory procedures for fixing minimum wages is undemocratic and would result in decision-making that is separated from the realities facing workers. "Workers are struggling to get by on the wages they earn. The ITUC Global Poll shows 59% of people in work are only just managing, struggling to make ends meet or not managing at all. Adequate minimum wages are key to assuring shared prosperity, economic growth and a just and secure world. They should first and foremost be based on the cost-of-living evidence, and they should be developed with the involvement of unions and employers within transparent, tripartite processes," said Burrow. 03 April 2019: Workers building the Transposition project in São Francisco River, in the states of Fortaleza and Pernambuco, Brazil have been on an unlimited strike for 15 days. The strike began on 18 March due to delays in Profit Sharing payment and a demand for wage increase. The strike is being led by the Union of Workers in the Construction of Infrastructure Works in the State of Ceará (SINTEPAV CE) affiliated to BWI. Ferreira Guedes/Tonniolo Busnello is responsible for the construction project. The company has refused to adhere to the union's demands and are preventing workers from exercising their right to strike by filing an injunction against workers' mobilization. However, the workers have vowed to continue their strike until they achieve victory. "Even when people are trying everything to complicate workers' life, SINTEPAV CE will always work hard to guarantee decent work," said Raimundo Nonato Gomes, President of SINTEPAV CE. 02.04.2019: Some 30 union representatives and activists from all over Europe came to Dublin, Ireland, on 26 and 27 March 2019, and formed a trade union network to improve social dialogue at the Irish building materials and cement multinational company, CRH. Global unions IndustriALL and Building and Woodworkers International (BWI) also participated. The trade union network will aim to better the work and status of the CRH European Works Council (EWC) known as "Euroforum" and increase communication between unions. The Irish company is now one of the top players in cement and construction materials industries. IndustriALL's Irish affiliate union SIPTU hosted the meeting, which was organized by the European Federation of Building and Woodworkers (EFBWW). Participants defined a number of issues at the company, but especially in the Euroforum. The participants want to fix these shortcomings. Participants adopted a joint statement in English, French, Polish, Romanian, Dutch, German indicating their proposals and demands to CRH management and future activities in the network. In their statement the European trade unions said: "EFBWW requires the CRH group to respect European Union legislation and to take the appropriate steps to restore mutual trust and social dialogue. The EFBWW invites management to discuss a renewed social partnership. A first and important step would be to clarify the election/designation processes of the current and future members for the countries involved in the EWC. The EFBWW points out that this should be done according to national transposition law." The workers' representatives also selected a steering committee for the trade union network, which will coordinate the network activities and serve as a link between themselves, non-European trade unions and global unions. IndustriALL director for mechanical engineering and materials industries, Matthias Hartwich, commented: "I was glad to see how committed the European trade unions and works councils are when it comes to improve dialogue with CRH. I promise that IndustriALL Global Union will do its best to get the non-European trade unions on board. Already next week, we will have the chance to inform the North America Cement Network about the progress being made here. I believe we will have good cooperation between European unions and the unions outside Europe where CRH operates." CRH group was born from a merger in 1970 of two leading Irish public companies, Cement Limited (established in 1936) and Roadstone, Limited (1949). For long time the group was the sole producer of cement and the principal producer of aggregates, concrete products and asphalt with 95 per cent of its sales in Ireland. CRH is now one of the top ten world's construction materials companies operating in 32 countries and employing over 90,000 workers at around 3,700 locations of the world. The company sales in 2018 reached €26.8 billion. The Group's major businesses are located in Europe and North America, and it has a growing presence in Asia and South America. 05 March 2019: Social dialogue towards ratification of ILO Core Conventions 87 (freedom of association) and 98 (collective bargaining) in the Republic of Korea appears to be moving in the direction of actually weakening fundamental labour rights. Public Services International (PSI) expresses its support for the KCTU General Strike and concern that social dialogue towards ratification of ILO Core Conventions 87 (freedom of association) and 98 (collective bargaining) in the Republic of Korea appears to be moving in the direction of actually weakening fundamental labour rights. Discussions on ratification of ILO conventions and revision of labour law are currently taking place in the Committee on Improvement of Labour Relations Law and Practice of the Economic, a subcommittee of the Social and Labour Council (ESLC), a social dialogue body established by South Korean President Moon Jae-in. The committee is scheduled to issue recommendations on labour law revision on March 7. Public interest members of the committee have already issued recommendations on labour law revision, which fall well below international standards by failing to guarantee trade union rights for self-employed workers, maintaining restrictions on freedom of association and political activities for government employees and teachers, and calling for new concrete limitations on the participation of dismissed and unemployed workers and officers of unions formed above the company level. Legislation based on these recommendations, but that is even more restrictive, has already been proposed in the National Assembly. Further, PSI has learned that employers' representatives involved in the ESLC process have called for further revisions of the Trade Union and Labour Relations Adjustment Act (TULRAA), which put even greater restrictions on trade union rights, particularly the right to strike, while granting employers new powers, such as to make claims of 'unfair labour practices' against unions. The Moon Jae-in government has indicated willingness to accept many of these demands, claiming this is necessary to win support for ratification of ILO conventions. PSI is particularly concerned that throughout committee discussions, guarantees for self-employed and precarious workers are being side-lined. The ILO Committee on Freedom of Association has, on several occasions, recommended that the South Korean government take the necessary steps to protect the rights to freedom of association and collective bargaining for these workers. The European Commission, which is currently engaged in formal consultation over the Korean government's failure to live up to obligations under the EU-ROK FTA, has also raised the issue of the exclusion of self-employed, unemployed and dismissed workers from the right to freedom of association as an essential issue the South Korean government must address. The question of a system of minimum services in line with ILO standards has been left out of the discussion. As it now stands, the broad and vague definition of 'public interest businesses' in South Korean labour law means that many public institutions and other sectors not considered 'essential services in the strict sense of the term' have set excessively high levels of minimum services to be maintained during strikes and that employers may freely use replacement workers to break strikes. The ILO has also recommended on several occasions that restrictions on the right to strike in workplaces that are not 'essential services in the strict sense of the term', such as railway, airlines and energy companies be keep to a minimum and that unions be granted the right to participate on equal footing with employers in deciding these minimum levels. PSI General Secretary Rosa Pavanelli has expressed her concern over these developments, stating: "Since 1996 when South Korea joined the OECD, the government has made repeated promises to the international community to ratify ILO Core Conventions and improve the legal framework on trade union rights. PSI welcomed President's Moon promise to live up to these commitments when he first took office, but has been disappointed by what has followed since. The current discussions that tie regressive revision of the labour law to ratification of ILO conventions and ignore past ILO recommendations are unacceptable. Dialogue concerning ratification of ILO conventions should take place following a strict commitment to the principle of non-regression in existing laws and with a view towards actually improving the rights of workers in South Korea." Malta has become the 30th country worldwide to ratify the ILO Protocol on Forced labour, thereby committing to take effective measures to prevent all forms of forced labour, including trafficking in persons, protect victims and ensure their access to justice and compensation. The Government of Malta has ratified the legally-binding treaty that requires countries to take new measures to tackle forced labour and modern slavery with a keen focus on protection, prevention and compensation. "As the International Labour Organisation (ILO) celebrates its Centenary, we are faced with the realisation that the work and values that the organisation stands for remain relevant and applicable more so in today's world", Ambassador Olaph Terribile, Permanent Representative of Malta to the UN Office and other International Organizations in Geneva said. "Malta shall continue to seek and promote the enhancement of labour conditions both at a national level as well as within the appropriate multilateral platforms, confident in the belief that decent work is undeniably linked to sustainability and prosperity", he added. The Government of Malta has taken significant measures to develop the legal and institutional framework for combatting trafficking in persons, including by criminalizing all forms of trafficking as well as forced labour, with penalties of four to 12 years imprisonment. Malta has also strengthened its efforts towards the protection of victims of trafficking in persons by enacting the "Victims of Crime Act" in April 2015, which includes provisions regarding access to assistance services and compensation. Moreover, the Anti-Human Trafficking Monitoring Committee was set up in 2011 for drawing up and monitoring the implementation of anti-trafficking policies. A National Referral Mechanism has also been active in Malta since 2013 and is mainly involved in the identification of victims or potential victims of trafficking. The ILO Director-General, Mr. Guy Ryder, welcomed the step: "With the ratification of the Protocol, Malta once again confirms its commitment to promoting and implementing fundamental rights and principles at work". This ratification supports the effective promotion of the ILO's Decent Work Agenda and achievement of the 2030 Sustainable Development Goals, in particular Target 8.7 to eradicate forced labour, modern slavery, human trafficking and child labour, and represents a significant contribution to mark ILO's centenary. The ILO estimates that about 24.9 million people worldwide are victims of forced labour, with 16 million people exploited in the private sector in activities such as domestic work, construction or agriculture; 4.8 million in forced sexual exploitation, and 4 million in forced labour imposed by state authorities. The ILO also estimates that this exploitation generates some US$150 billion a year in illicit profits. In November 2017, during the Global Conference on child labour and forced labour in Argentina, the European Union pledged to "promote actively swift ratification of the Forced Labour Protocol among EU members". Malta is the 14th EU member state to ratify the ILO Protocol on Forced Labour.